Soy Sauce Noodles (Chinese Noodle Stir Fry) | Simple. Tasty. Good. Have you ever been to Hong Kong? Then you must have tasted or at least seen these soy sauce noodles before! Glad I finally made them at home, saves me a plane ticket, ha! Even if you really don’t know how to cook, then this recipe will work no matter what because it’s so easy to make! So what do we have here? Cooked noodles, fry them in oil, add onion, add soy sauce marinade. Done. 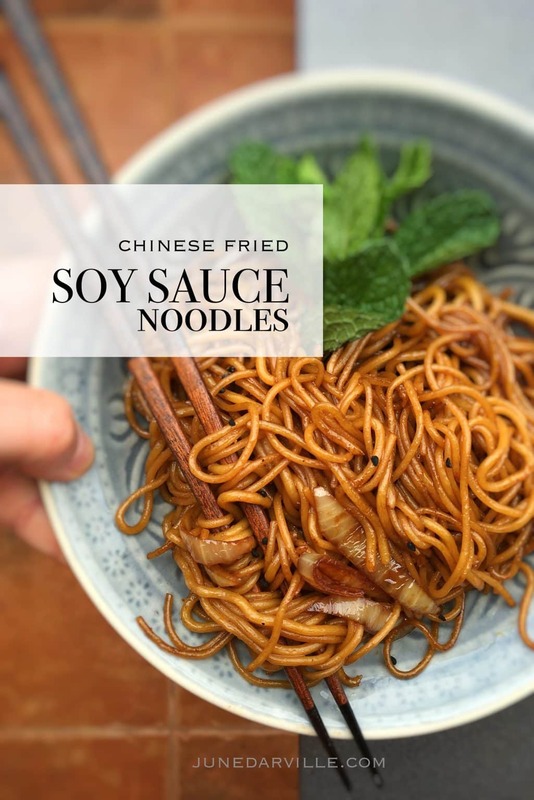 I love how the cooked noodles fully absorb that sweet and salty rich soy sauce, makes this dish extra savory and packed with flavor! Love noodles? Then also check out my egg noodles with oyster sauce and vegetables! 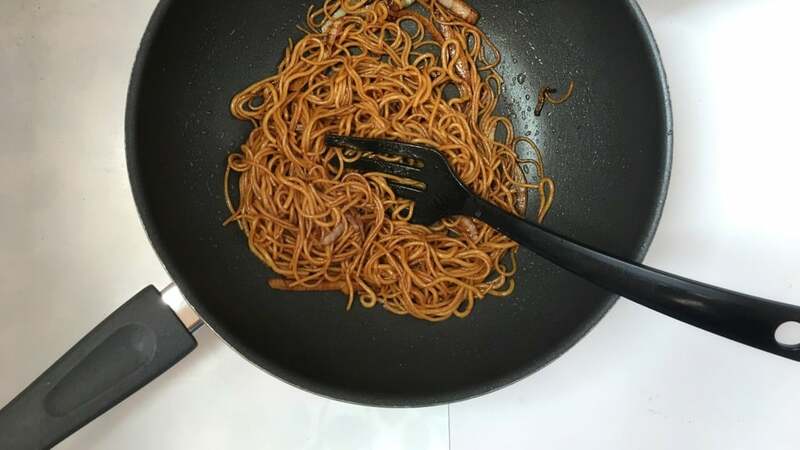 Easiest noodle recipe ever: stir fried Chinese soy sauce noodles with onion! Pour the sesame oil, soy sauce, fish sauce, oyster sauce and Chinese rice wine (optional) in a small cup. Season with a pinch of pepper and sugar. Stir well and then put it aside until needed later. Pour half of the vegetable oil in large wok or non-stick pan and place it over high heat. Once the oil is hot, add the cooked egg noodles. Stir fry the noodles for a couple of minutes until they start to crisp up lightly. Then transfer the noodles to a plate. 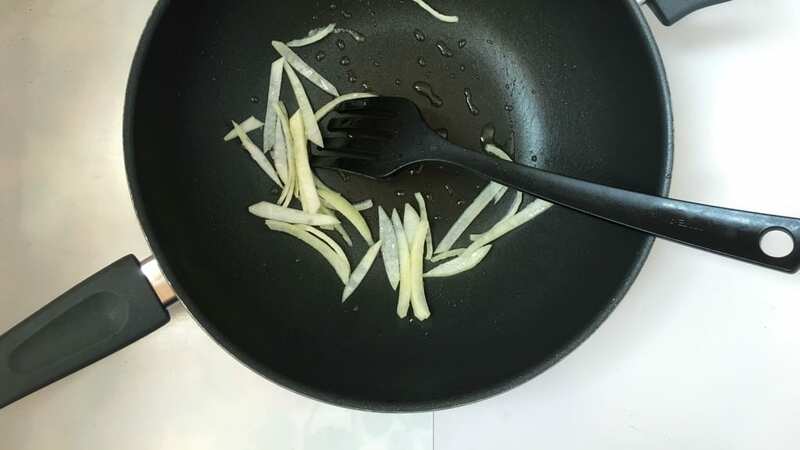 Add the remaining oil to the wok together with the raw onion. Stir fry the onion over high heat for 2 minutes. Then add the noodles back to the wok and drizzle with the soy sauce mixture. Stir fry and toss the noodles well until the soy sauce is evenly divided and has colored the noodles. Then transfer the noodles onto plates. Serve hot. 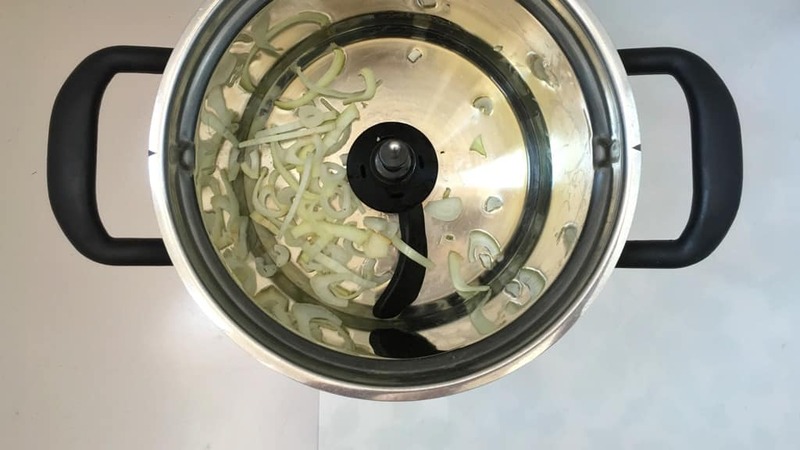 I love noodle stir fries and my KitchenAid Cook Processor is just perfect for recipes like that. Look at these golden fried noodles in soy sauce then… These are soooo addictive! I sometimes cook a handful of extra noodles or even spaghetti for dinner so I can make a noodle stir fry like this one the day after for lunch. Love the soy sauce in combination with the caramelized onions, I can’t stop eating this stuff! Picked this noodle idea up while visiting Hong Kong, it’s a popular dish there. Looking for another noodle recipe to prepare in your Cook Processor: check out my egg noodles with vegetables and oyster sauce! 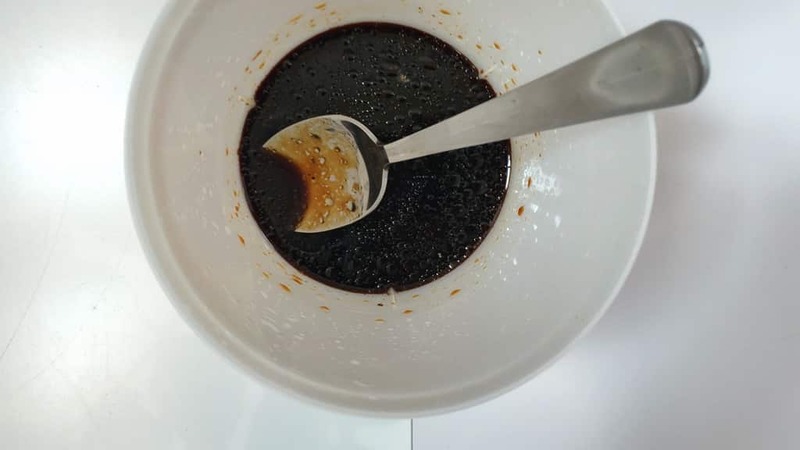 Pour the sesame oil, soy sauce, fish sauce, oyster sauce and Chinese rice wine in a small cup. Add 2 tablespoons of water. Season with a pinch of pepper and sugar. Stir well and put it aside until needed later. 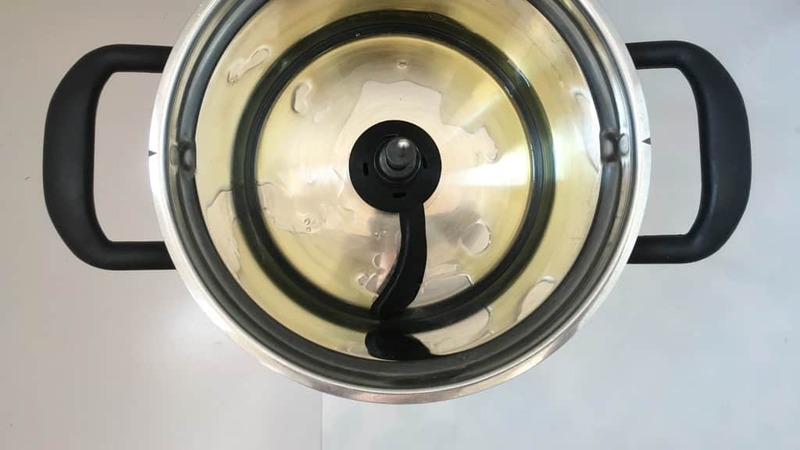 Pour half of the vegetable oil in the Cook Processor bowl fitted with the StirAssist and close the lid. Select FRY P1 and adjust the time of Step 1 to 4 minutes (instead of 10 minutes). Then press Start to activate the program. Add the cooked egg noodles and adjust the time to 6 minutes (instead of 3 minutes). Press Start to activate Step 2. 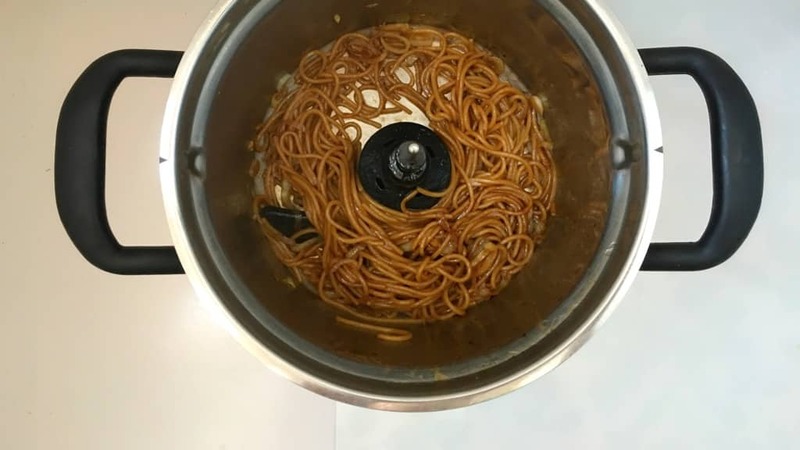 Once the noodles are fried, press Cancel to exit the keep warm mode. 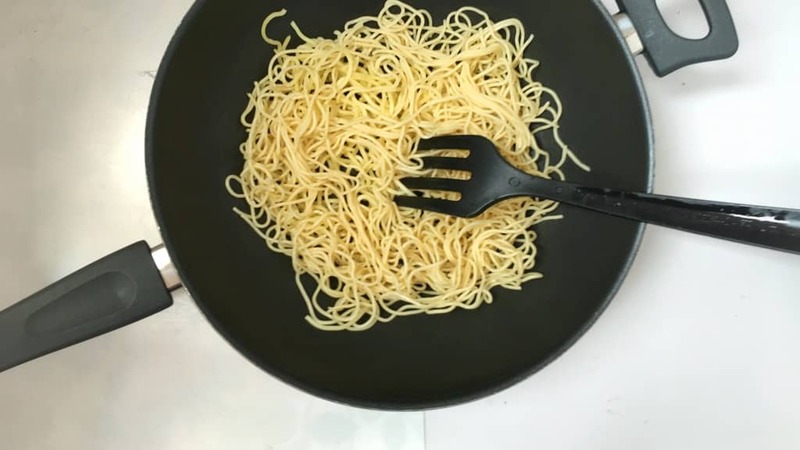 Transfer the noodles to a plate. Then add the remaining oil to the bowl of the Cook Processor together with the raw onion. Close the lid and select FRY P1. Press Start to activate Step 1. After that add the fried noodles back to the bowl and drizzle with the soy sauce mixture. Close the bowl and adjust the cooking time to 6 minutes (instead of 3 minutes). Press Start to activate Step 2. 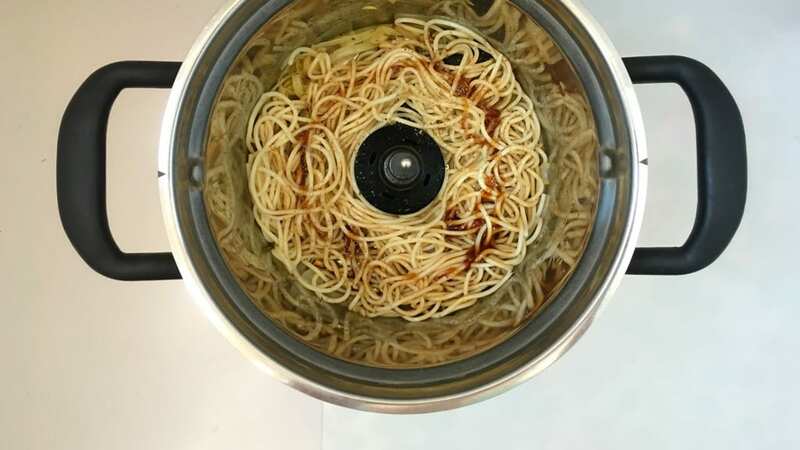 In the end the noodles should be dark brown. 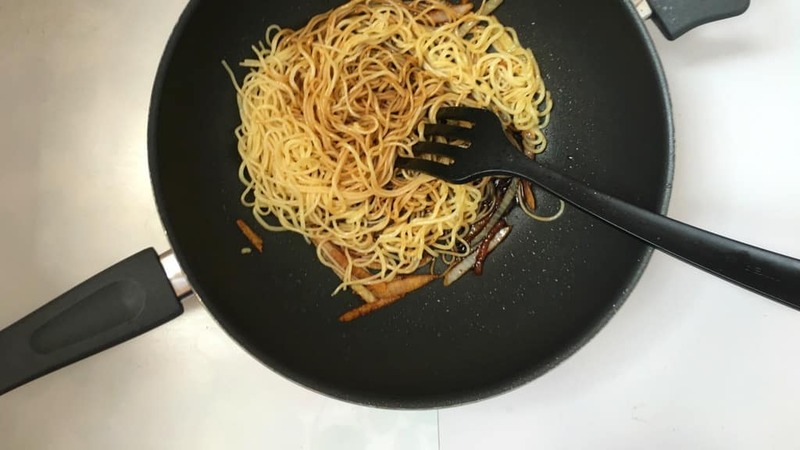 Transfer the noodles onto plates. Serve hot. Fantastic dish. Simple, quick, easy AND delicious. Your combo for the sauce is very similar to the one we make for quick stir-fry leftover chicken, so we know we’re gonna love it! 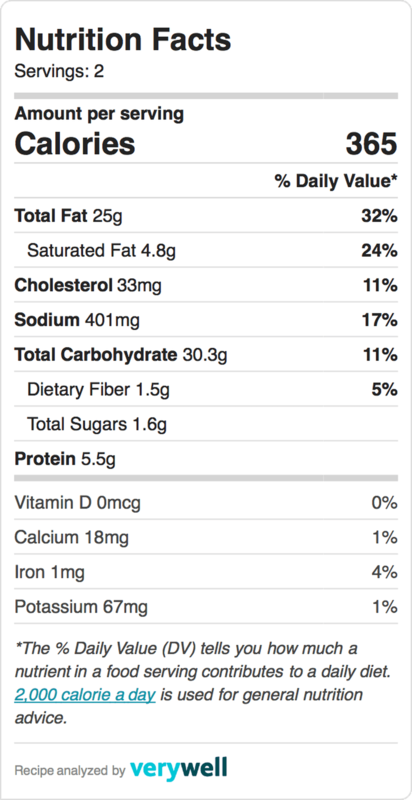 Wow, this looks delicious and so easy. 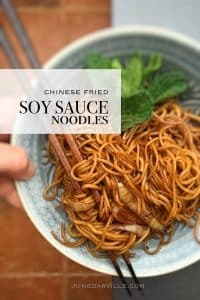 I do eat noodles and soy sauce a lot but not as complex recipe but I do think I might like to try this.